Despite the numerous scientific advances made in recent years, many seniors remain hesitant to step into the somewhat scary world of technology. It can be difficult for elderly ones to let go of using rotary telephones and snail mail – especially if they are unaware of a better way to communicate. If your agency is interested in expanding, you would be wise to consider the many benefits of a reliable home care system such as ClearCare Online. Not only does utilizing home care software improve the quality of service you provide to your existing clients; it will help you bring in more satisfied customers. If you can show your clients and their families how technology such as ClearCare Online’s home care system can help seniors become more connected to their agency and assigned caregivers, you will bring your agency’s success to a whole new level. 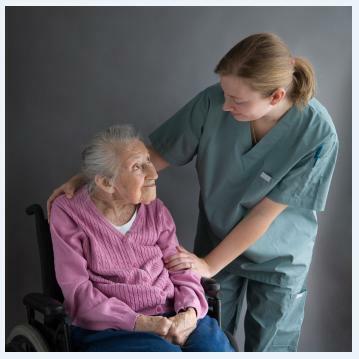 Home care software improves caregiver/client relationships. When your agency advertises how home care software helps clients connect and communicate better with their caregivers, it won’t take long for potential customers to turn into loyal clients. Thanks to daily reminders, caregivers always know when their client requires medication, prefers his meals, and retires to bed. At the touch of her fingertips, a caregiver can also look up when activities the senior enjoys. She can suggest playing board games, going for a walk, or looking through photo albums to keep the senior comforted and engaged. Communication between caregivers and client family members improves. ClearCare Online’s home care system allows your agency to create specific care plans for each patient, customizing tasks to meet individual needs. When home care software is used, clients and their loved ones have 24/7 access to the patient’s daily care plan. Family members will be alerted immediately if the caregiver will be late for any reason, or if an essential task has not been completed as scheduled. Your customer service will be immeasurably enhanced when family members have real-time access to their loved one’s care. ClearCare Online’s home care system allows better client/caregiver matching. The sophisticated scheduling system ClearCare provides is the most effective way to pair each client with appropriate caregivers. You can easily satisfy each client’s preferences and specific care needs by providing a caregiver – one who fits the bill in every way. This improves customer relationships, eliminates potential problems, and gives families peace of mind – knowing their loved one is completely content with his qualified caregiver. ClearCare Online works diligently to support your growing business by providing the most intelligent, reliable home care system on the market. When you begin advertising the multitude of benefits from using home care software to potential clients, you will be amazed with the positive response your agency receives.